What is the MASTERS of ARCHICAD 2017 project all about? 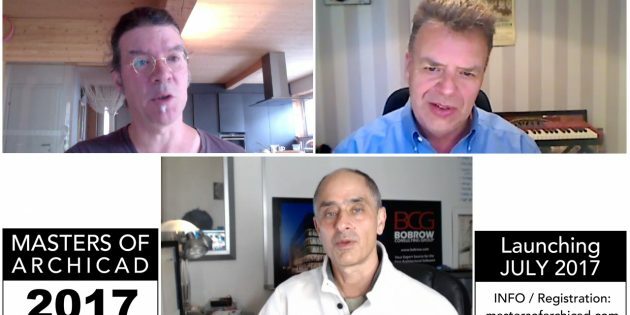 It’s a 22 minute lively chat with three Masters of ARCHICAD! We discussed how revolutionary this whole program will be, as we focus on the real-world usage of ARCHICAD as an essential business tool, managing the workflow to be efficient and profitable while producing optimum results. Something like this has never been done before, in this level of depth, with such a combination of experts who combine decades of ARCHICAD experience with decades of teaching. We’re going to be documenting and sharing the process as a project runs from concept through the full lifecycle. We’re all going to learn so much. I’m truly so excited to share this with you and everyone in the ARCHICAD community! The new MASTERS of ARCHICAD 2017 program has launched! Special INTRO Sale ends soon…save $297! A unique training program taught by 3 internationally recognized ARCHICAD experts, exploring workflow and methods to maximize efficiency and profitability. CLICK HERE for more info and to register for the MASTERS of ARCHICAD 2017 program. Enjoy 3 inspiring and practical training presentations from ARCHICAD experts from the recent Masters of ARCHICAD Summit conferences, with our compliments! CLICK HERE to grab your FREE Guest Pass. 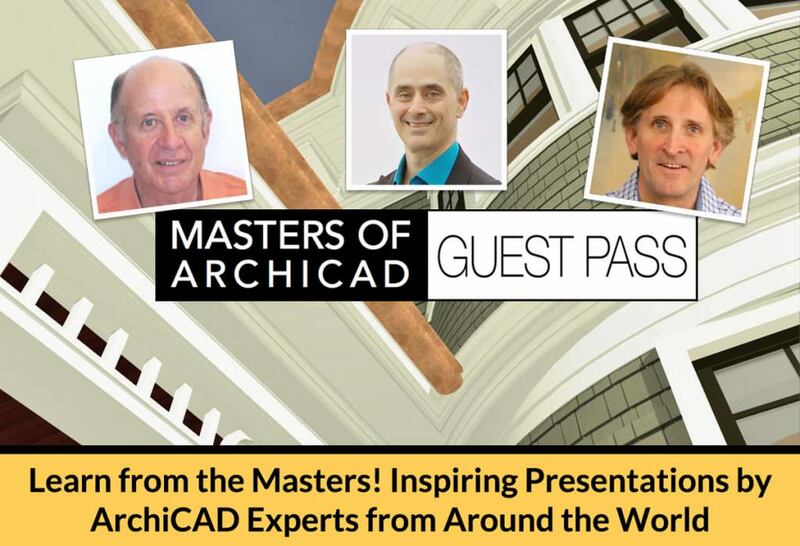 Enjoy and learn from three presentations by ArchiCAD experts from the MASTERS of ARCHICAD program. Fill in this form to get your complimentary Training Pass. 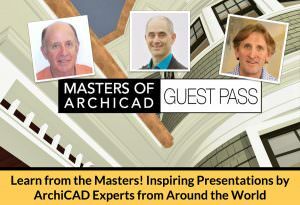 We'll also keep you posted on all of the MASTERS of ARCHICAD programs! We'll also keep you posted on the exciting new MASTERS of ARCHICAD 2017 program!